The year 2016 saw an increase in awareness of environmental problems across the board. Everyone from suburban homeowners to largescale manufacturers has become more conscious of their carbon footprints, energy expenditures, and pollutants they produce that impact the quality of life for themselves and others. Despite this advancement, there is little acknowledgement of noise pollution as an environmental threat. Power generators inevitably produce noise. To help control the noise pollution produced by its generators, International Supply Company (ISCO) has developed creative solutions to meet power-generation needs at the lowest possible cost to businesses and to the environment. For more than 33 years, ISCO has lead the power-generation industry by engineering and manufacturing custom solutions for prime, backup, and critical-grade customers around the world. In late 2015, ISCO became a division of Fibrebond, a Louisiana-based concrete and steel company committed to ISCO’s mission to provide customers with innovative packaging solutions –especially acoustic packaging solutions. ISCO goes the extra mile by providing power-generation solutions that are both environmentally friendly and designed to offset generator-produced noise pollution. In cases of natural disaster such as a Nor’easter or bad hurricane, generators are an invaluable resource that can keep communities up and running until repairs are made. However, these generators can output noise up to 100 decibels when operating, which may pose health risks for those exposed for more than brief period of time. Long-term exposure to noise pollution may cause stress, blood pressure increases, sleep disturbances, and a number of other complications that can reduce quality of life. 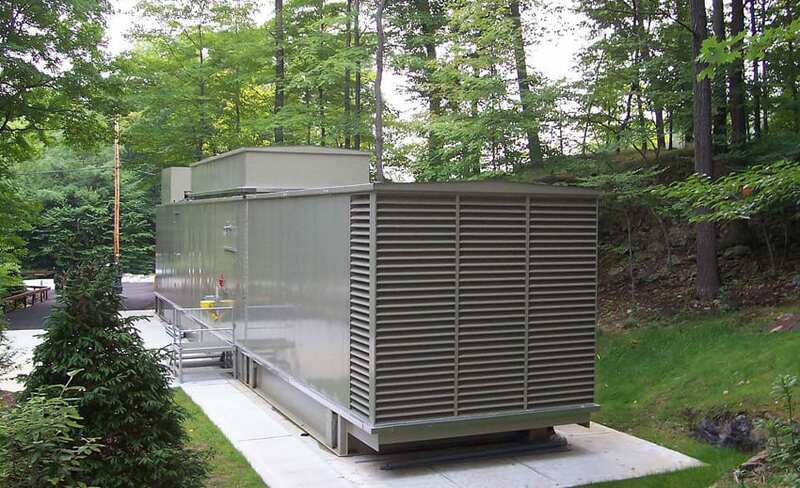 To combat this problem, ISCO’s generators are equipped with many features that reduce their sound impact, including sound baffles, acoustic louvers, acoustical intake penthouses, directional intake and discharge hoods, engine-exhaust packages and block wall designs. In addition, all ISCO acoustical products are manufactured with superior quality in mind. ISCO solutions are engineered to minimize environmental impact in all situations, whether they are used for everyday power needs or in cases of disaster. ISCO’s parent company Fibrebond utilizes LEAN manufacturing principles to reduce all types of waste. Waste of materials, scrap, time, and labor are all minimized at the Fibrebond production facility to minimize production costs and environmental impact. However, ISCO still wants to go further to produce superior, low-cost products to satisfy customers. By creating power-generation solutions with reduced noise pollution output, ISCO is able to offer a safer, more environmentally-conscious product to customers. Whether your power generation needs are simple or complex, require diesel or natural gas, or are for prime or backup use, ISCO has creative and safe solutions available. Don’t wait to reduce the environmental impact of your power generator. Contact ISCO today to explore affordable acoustic solutions that fit your needs –your employees and neighbors will thank you!